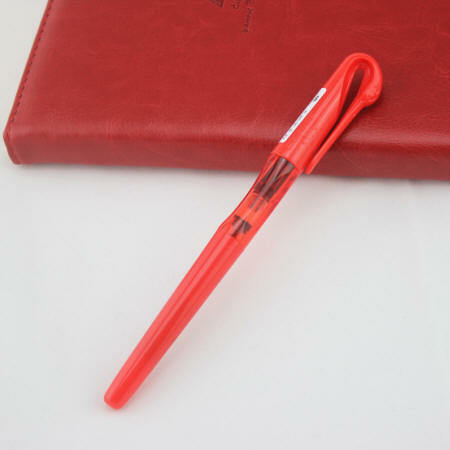 "I just love the way the Swan writes - its one of the best writing pens in my collection. The Swan pen has become my journal writer – and I use it every day". First came the terrifying Shark pen. Now we have the placid and relaxing Swan from Jinhao. This is also a great starter pen for a new fountain pen user or youngster, but due to its full size it's also a whimsical knockaround pen for an adult collector. The pen measures 6" capped, 6" posted and just short of 5" with cap held aside. 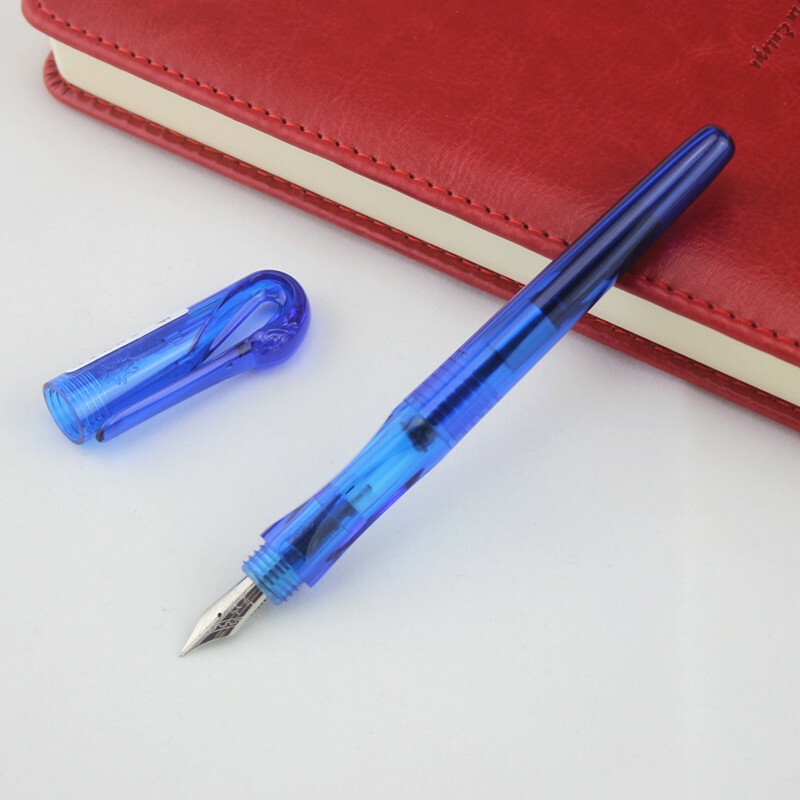 The pen is available in 5 solid colors, 5 translucent colors and 1 transparent demonstrator version. In all cases the see-through ink window in the center of the pen allows for a quick estimate of when your Swan next needs to take a drink of ink. Unscrewing the cap -- or in this case the Swan's head! -- reveals the steel Jinhao nib, marked as an F. I find that these are really closer to a western light-medium however. The section has two indents, providing for the easy placement of thumb and index finger, which allows for an exceedingly comfortable and secure grip.